You’ve probably heard of the term “storm chaser” being thrown around here and there. They are arguably one of the more publicized roofing scammers, but many homeowners, unfortunately, still fall victim to their schemes. Innovative Roofing and Siding discusses who these people are and why you should never let them work on your roofing projects. Storm chasers are roofers that, as their name implies, travel around the country following the path of storms, hence the name. And while it sounds adventurous, their reason behind chasing these storms is that they’re actively looking for homeowners to exploit. What’s the Risk of Working With Them? Stormchasers know exactly how insurance companies work in terms of storm or hail damage. They’ll base their “repairs” on the square footage of the roof and how much it would cost to install a cheap roof. 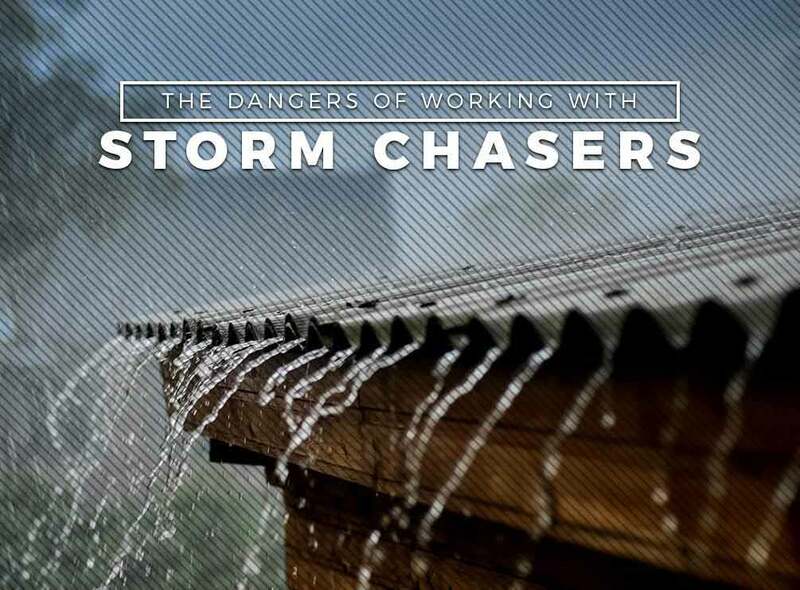 Unlike working with a local roofer, storm chasers only do the bare minimum to replace the roof and will not address other problems. The roofs they install barely last 5 years and often require repair work more than usual over the course of its lifetime. At Innovative Roofing and Siding, we know how important your roof in protecting your home and improving its curb appeal. We’re a local roofer so we know exactly what your roofing requires—whether it has experienced storm damage or not. We make it a point to do in-depth inspections and you can count on us to give you quality workmanship every time. Innovative Roofing and Siding offers complete roofing services, from fixing gutters to roof repairs and replacements. Give us a call at (865) 444-6070 for more information about our services. We’re a local roofer serving home and business owners throughout Maryville, TN.